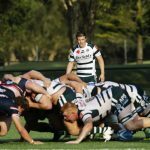 NSW II fought back from 11 points down to beat QLD I and cause the upset of the Australian Schools Championships yesterday afternoon. 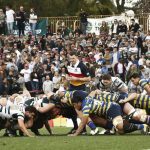 The home side scored two late tries, then held the ball for the final 5 minutes and worked their way out from deep inside their own half after the full time siren. NSW II centre Vincent Creagh split the tiring Queensland defence on the half way line but had his final pass knocked down. The ball rolled into the in goal area and was pounced on by NSW winger Liam Scolari in the corner. 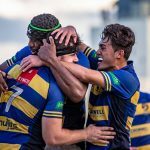 Flyhalf Matt Minogue then added the extras from the sideline to seal a memorable win. Following that NSW I struggled to find their best against QLD II but were still able to claim a 47-5 victory in a scrappy match at Riveview. 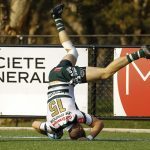 While all eyes will be on tomorrow’s all NSW final, here’s a look at five players that caught our eyes yesterday afternoon. QLD I No.7 Will Roach was outstanding in a losing side and was everywhere against NSW II yesterday. Roach is in the Will Miller mould and plays well above his weight. The flanker claimed several pilfers and didn’t stop working all afternoon. St Augustine’s fullback Daniel Ala continued his impressive form against QLD I and split the visitors defence with speed and footwork on several occasions. Ala combined brilliantly with impressive centre Faiva Faiva and finished the match with a bang. He’ll return for another crack at the championships next year as well. NSW I fullback John Connolly oozes class and is one of those players that seems to have more time than most. In a scrappy performance, Connolly straightened the NSW attack on several occasions and showed lovely, soft hands to set up several tries. If Dennis Waight ran onto a Premier Rugby field this weekend, no one would look twice. The Queensland outside centre is built like few schoolboys you’ll ever see and hits like a road train at full speed. 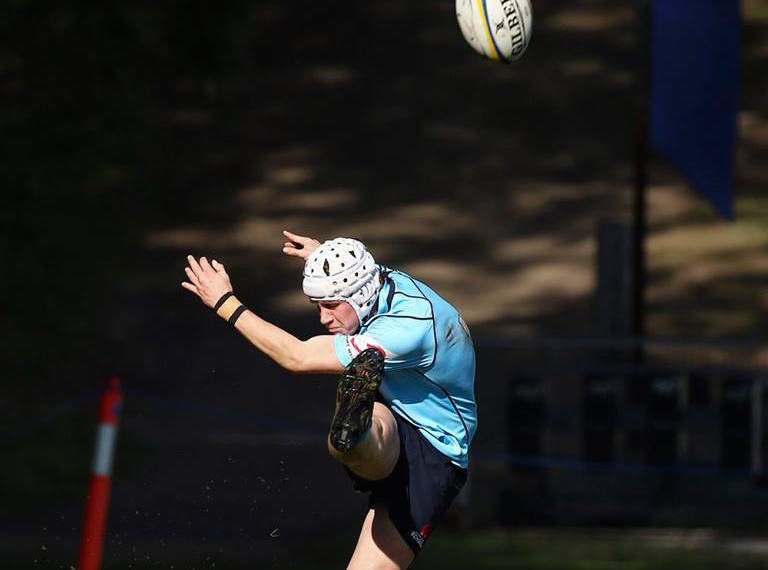 NSW II flanker Sean Vaiveleta offers the perfect combination of skill and aggression. The hardworking backrower doesn’t miss in defence and is great around the field. His battle with the big NSW I backrow will be one to watch tomorrow’s final.